Watching a documentary about the life of a film critic, I had barely heard of, is certainly not an obvious viewing choice. Rober Ebert, as some might remember, was a world famous movie critic based in Chicago. He was part of the famous on screen duo “Siskel and Ebert” for two highly successful movie review shows: “Sneak Previews” and “At The Movies”. Their tempestuous and infamous working relationship often boiled over and onto live television. So why on earth am I watching this? Because it is quite probably the most brutally honest documentary on the human condition I have ever watched. It is unashamedly upfront, without ever being gratuitous with the obvious emotions and sentiments. The documentary begins with us meeting Robert just a few weeks before his death in hospital. A rare glimpse into the final chapter of someone’s life. Straight away we are confronted be his appearance. His lower jaw bones missing due to emergency operations some years earlier, after complications associated with a thyroid tumour and its removal. Already you can tell that this documentary will not hold your hand and tell you what to think or how to feel. Instead it will present nothing but the brutal truth to you and, without warning, challenge you. We get to hear his life story from growing up as the only child of an electrician and housewife, becoming the passionate editor-in-chief of his university newspaper, gaining a position at the Chicago-sun-times as critic, winning the Pulitzer prize for criticism and of course his successful television career. But this is not the stuff of inspiration and wisdom (unless you are an critic of course). What makes this documentary special is upfront nature of Robert to discuss his illness, his family, his weaknesses, his mistakes and ultimately his regrets. The film is narated in part by Robert (via his autobiography read posthumously) and in part by the director Steve James. The enduring relationship with his wife Chaz during his treatments and obvious emotional and physical battles. Watching a tearful Martin Scorsese (director of Taxi Driver, Raging Bull, Goodfellas) recount how Ebert’s friendship, support and criticism pulled him out of cocaine addiction and possibly an early grave in the 80’s. 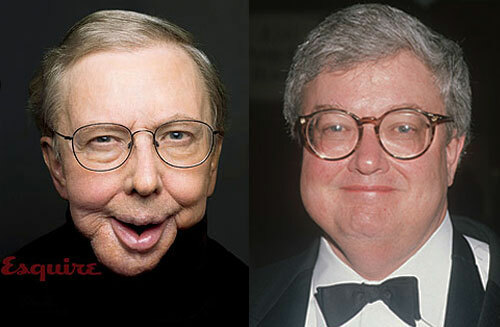 Ebert’s almost limitless and jovial energy despite not being to walk, talk, eat or drink for himself. Watching Ebert reflect on how he could no longer take his health for granted, that he missed and cherished simply being able to take a walk with his family. Hindsight is 20:20 vision as the saying goes…so being able to benefit from a lifetime’s worth of someone else’s in such a candid and natural way is, in my opinion, worth its weight in gold.